A good friend of ours came to Australia to accompany her sister who's going to give birth soon. Her sister is located at Brisbane. We're located at Sydney. In a very good timing, we managed to ask her to come to Sydney and have a 5 day get together. We haven't seen her for 3 years and it's good to connect again. Wanting to maximise time, I quickly drafted a 2 day trip to Canberra. 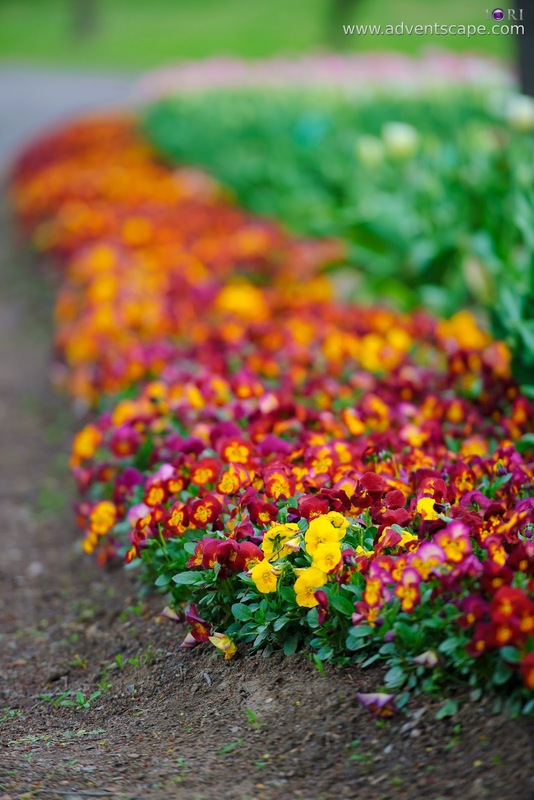 It's currently spring so gardens are very popular this time around. 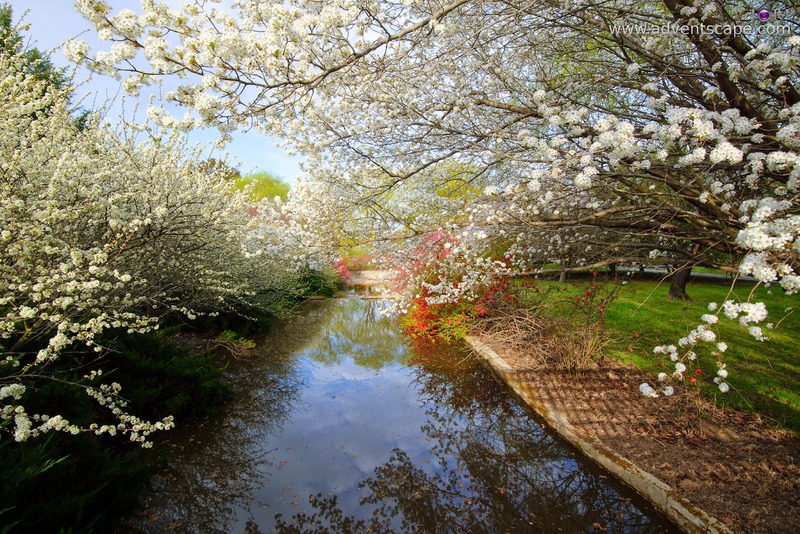 Floriade is a must. This is a very popular event in Canberra during spring. My wife mentioned Tulip Top Gardens. 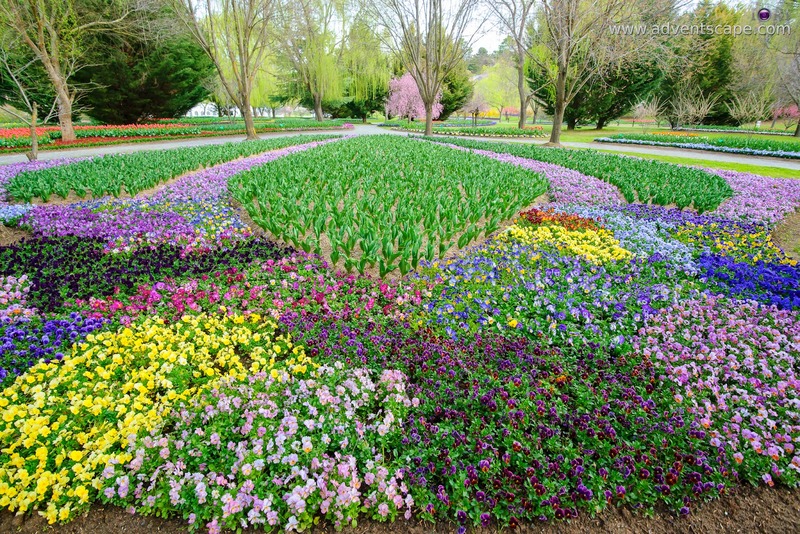 Like Floriade, it's a garden with beautifully arranged flowers. Since I haven't been to this garden before, I wanted to go and explore. 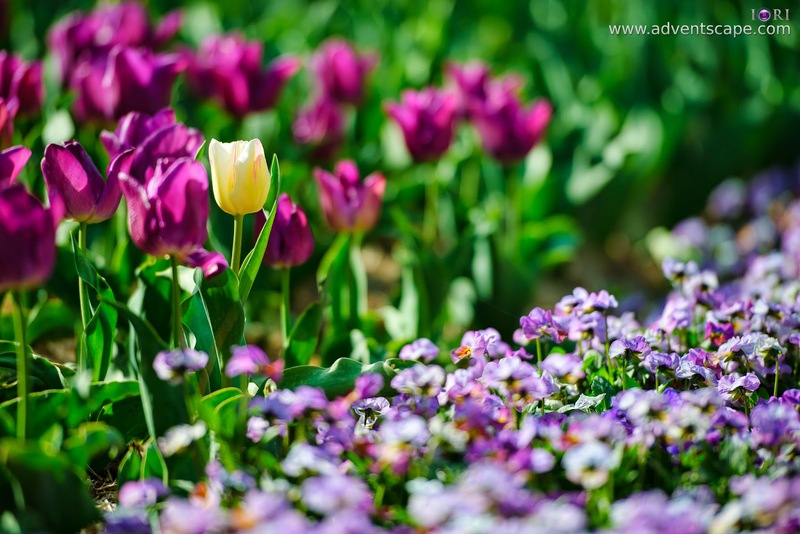 Tulip Top Garden's website has a section for 'Where Are We Located / Contact Us'. 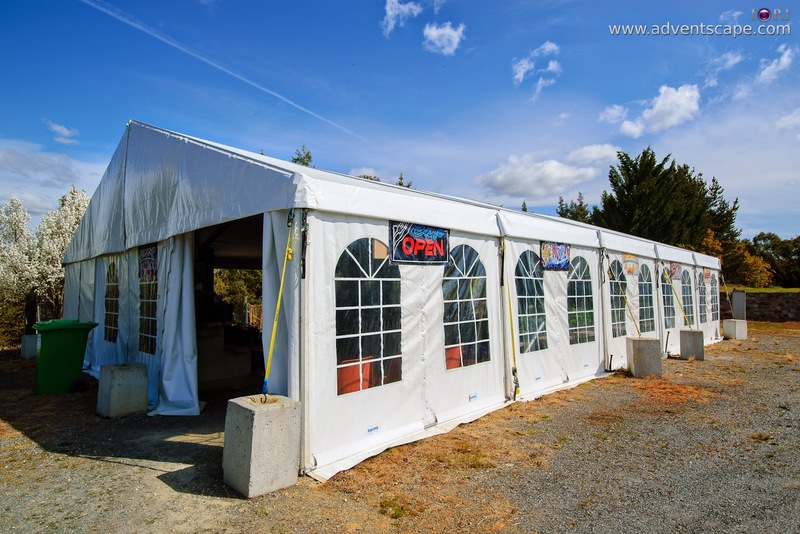 Refer to this page to get information and direction. Visitors from Canberra and Sydney will all drive at Federal Highway. If you're coming from Canberra, it's a lot easier. It's just 20 minutes away. 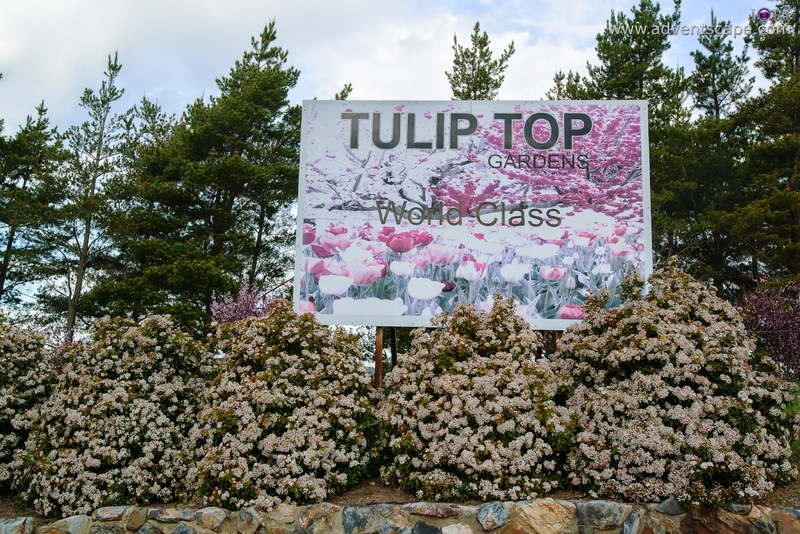 You'll see many flags with a big sign called 'Tulip Top Gardens. You won't miss this. Just drive ahead until you see the sign, then turn left. Apologies as the new Google Maps (My Maps) could not isolate a particular area in the map. The above map always show ALL the locations you put in it. Please input: 20 Old Federal Highway Sutton Bywong to pinpoint the exact location. Once you found the correct exit to Old Federal Highway, everything will become simpler. You'll see some flags at the entrance. There is a yellow brick wall (at the time I visited) at front. 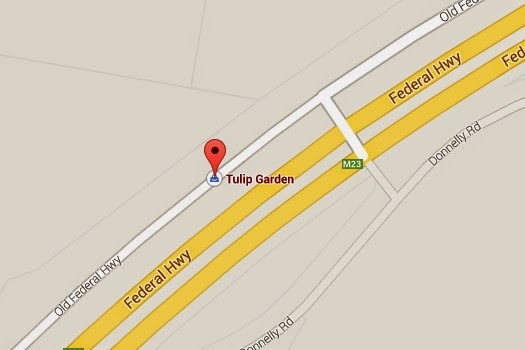 You'll see a big sign through the gates that screams: 'Tulip Top Gardens'. Drive straight through and there is plenty of parking inside. We went on a weekday, so I don't know the condition during weekends. You will be given a map of the whole area. You can decide how to walk your way. 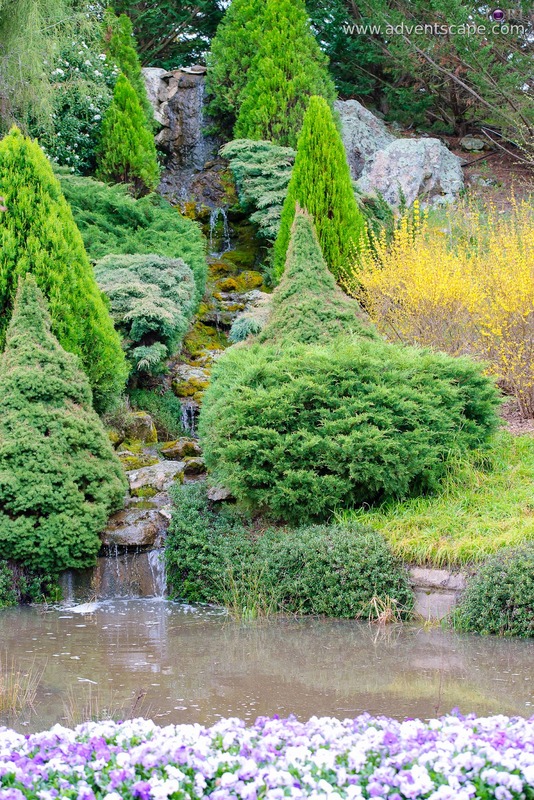 A short walk will lead you to a bridge and to the main entrance of the garden. It's magnificent, colourful, lively and few people! This is my first time coming here so I'm still unfamiliar with the layout. There are far less merchants around, no rides, no fancy setups, only one cafeteria and one set of toilet (with disabled as well). This is far smaller than Floriade wherein you'll get lost if you just wandered around in every boundary. Though smaller, don't let size fool you. 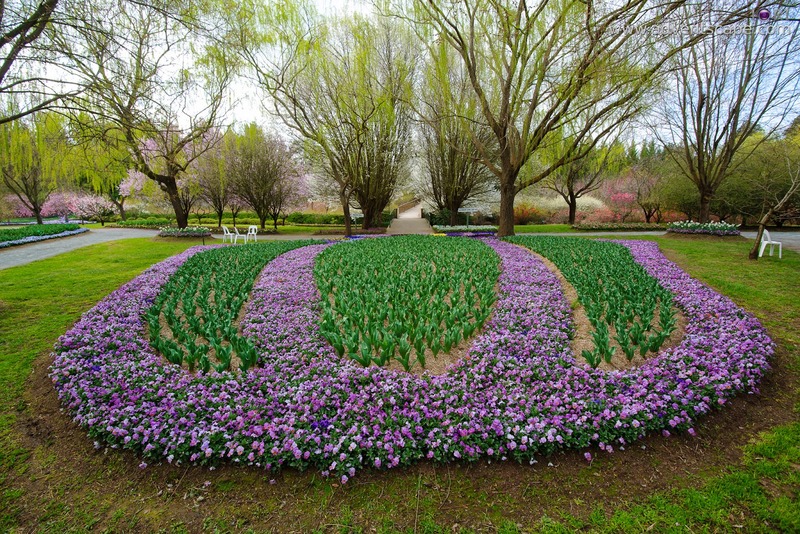 Tulip Top Garden's size is enough to keep you busy for 1/2 day visit including lots of photos. We came here at 1pm and exited at 4pm and we're only 4 people in a group. If you come here with the gang, you might stay a bit longer. Another thing about the size is that, since it's smaller, the floral arrangement is carefully thought out. Their design won't stretch out to the next corner. You don't need to walk far to see the next big thing. 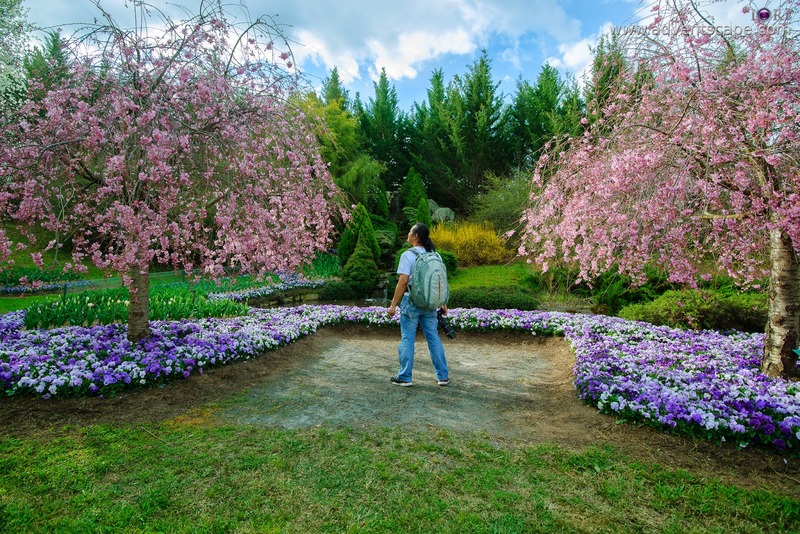 You can maximise your enjoyment since you can give each section of the garden, enough time to take photos and compose. 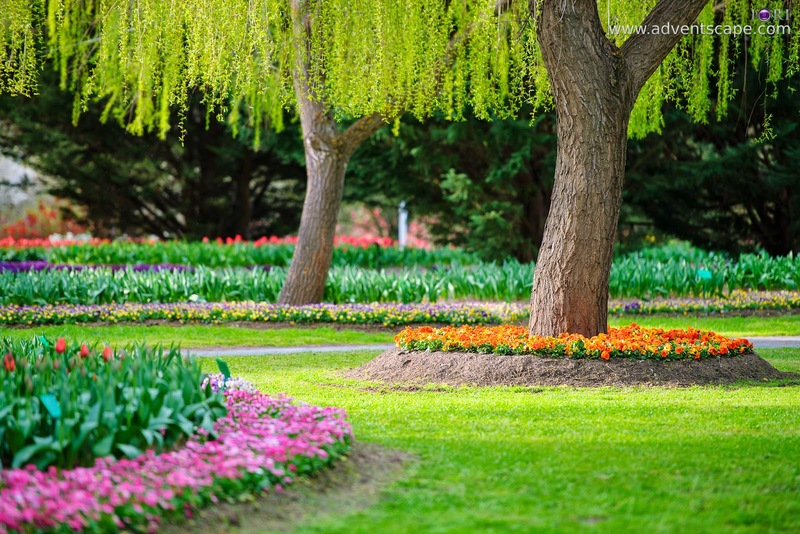 You don't need to walk as far and just enjoy the garden as it is. There are far less people inside. This gave me the opportunity to shoot relentlessly. I can shoot with both wide and telephoto lenses. I can bring my gear down and not worry about someone picking it up or stepping on it. I can shoot photos without people at the background and just concentrate on composition. I can freely frame any photo without any distraction. For photography, I love this advantage over Floriade. I notice that there are many trees that starts to blossom. 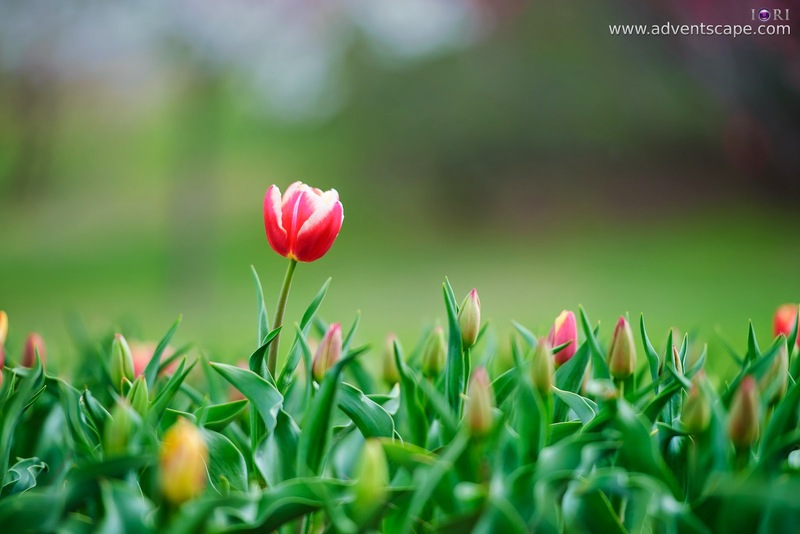 The area of flowers on the ground and the area of trees blossoming has a good ratio. What I mean is that there are far more concentration of flowers and are not stretch out. This gives you a blast of colours and bokeh. 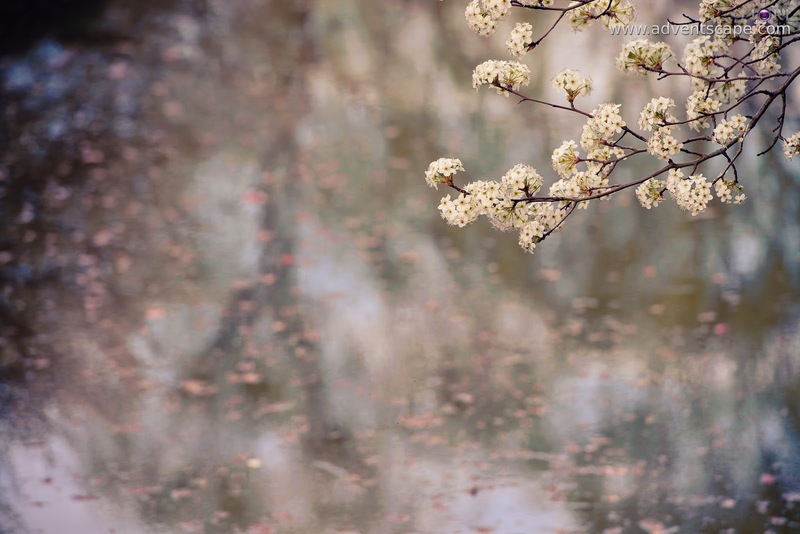 I have many shots with blossoming trees as my background. 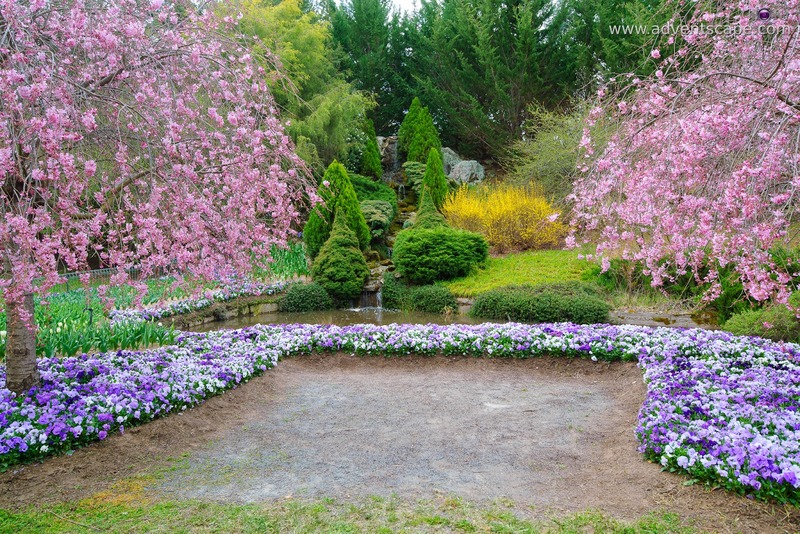 We came at the early days of spring, or the early opening days of the garden. There are still many budding flowers and trees around. The blossom hasn't gone full blast yet. My friend asked around and she found out that the best day to visit and watch a full bloom is around September 21, 2014. Wow, that is next weekend... But its alright as we don't have that luxury of time. What we saw is already good enough for me to come back again. What I notice as well is that there are a lot of chairs scattered around. 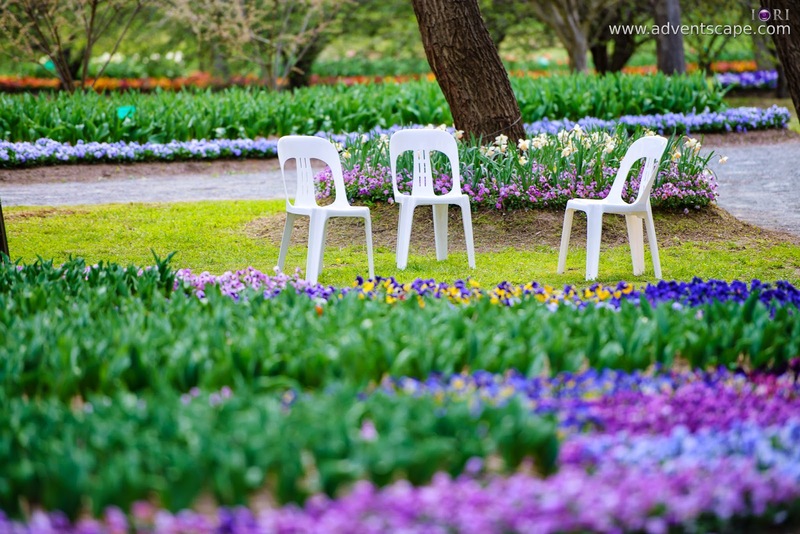 These are single white monobloc chairs that are light and you can drag them anywhere. I think they are giving their visitors an opportunity to sit and relax as they roam around the area. Its a good tool to take photos as well and organise a big group of people. If you don't like the chairs, you're always welcome to sit on the ground. I sat several times to grab a low angle photo. I also drop my camera and backpack when I'm trying to fix something. But if you really got tired and hungry, the cafeteria is the best place to rest and dine. There is only one place to buy food, so you won't get lost. 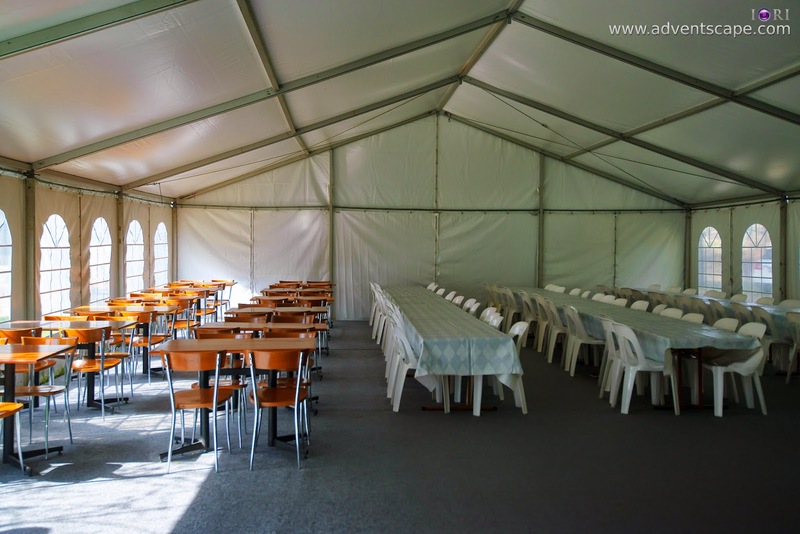 The cafeteria has space to accommodate many visitors. It's located almost at the back of the entire garden. 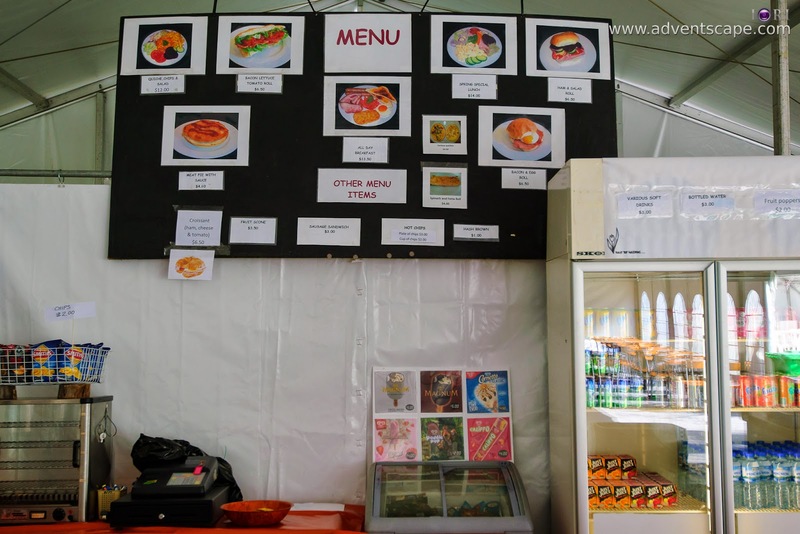 I managed to take photos of the entire area and the menu they served. 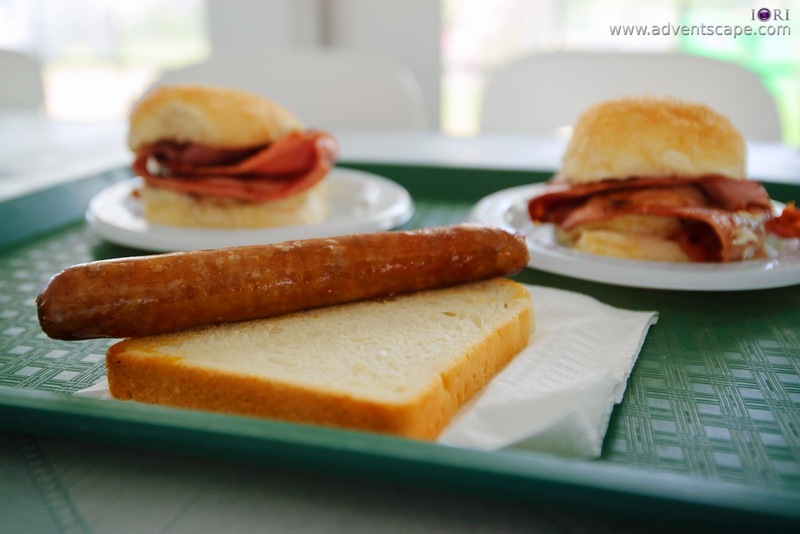 Remember that sausage sandwich is free during 11:30am to 1:30pm. So it's good to be there early in the morning and have your lunch there. If you still feel hungry after sometime, Canberra is just 20 minutes away. Coffee is free any time. I had coffee as I take my sandwich. I had coffee again before heading out and going to Canberra for more fun. As my friend and family rested, I took this opportunity to take more photos. I just shoot all the way since there are less to no people around. I think it's also Monday so people are mostly in the office. I got several good shots that I love. Some of these shots are already posted beforehand in the upper part of this post. 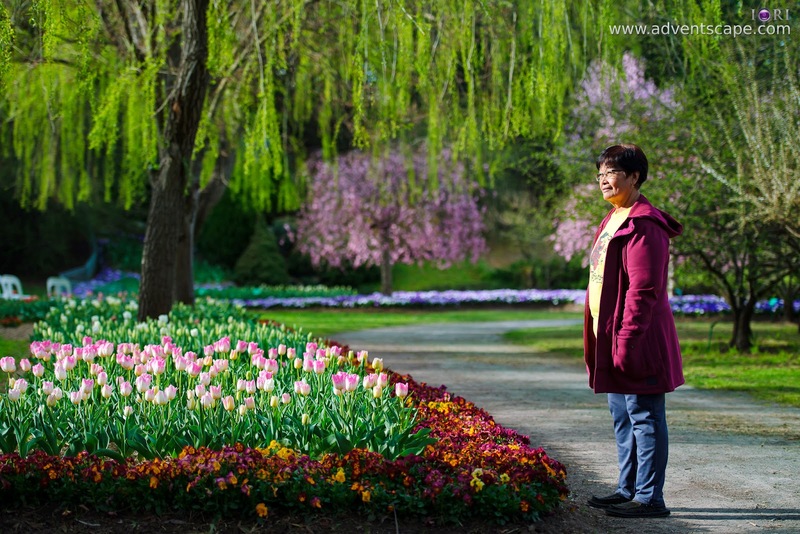 I still remembered the shots I had with Floriade and it's hard to isolate my subjects and background from the crowd. It's impossible to get a clear shot. It depends on the photographer, but I want it simple and clean. Before we headed out. We went to see the fountain or the waterfall. If you go in the garden after the small bridge, just turn right all the way to the corner. You'll see a small waterfall there. They could have made it pour more water. But it's still a beautiful area to photograph. They arranged the plants and flowers well. Tulip Top Gardens is a beautiful garden in it's own. If you're coming from Sydney, this is just on the way. If you're from Canberra, then it's just 20 minutes drive from here. It's one good place to stop by during spring. One might argue and compare it to Floriade. 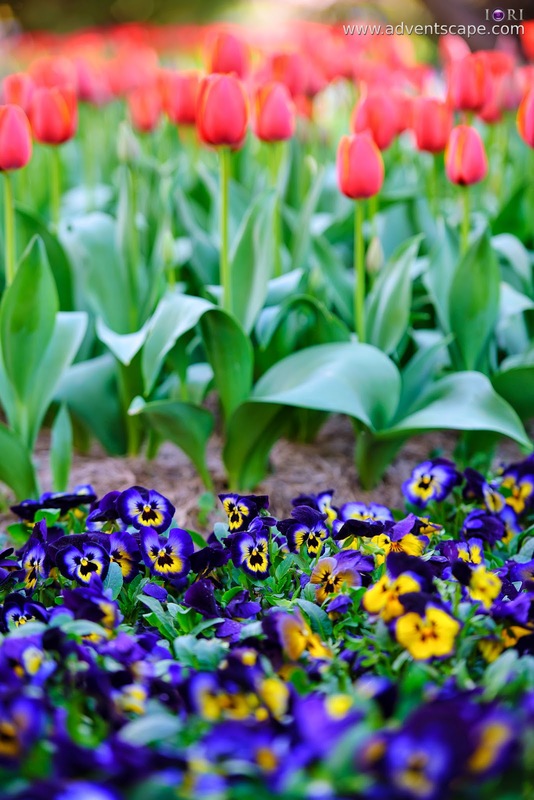 The flowers might be the same but both have their own markets and target audiences. I always tend to go with the lesser crowd so I can have more time taking photos and taking their photos. I never felt obliged to cover all areas as I have enough time, energy and enthusiasm to cover the whole Gardens. I have many photos of this beautiful place. 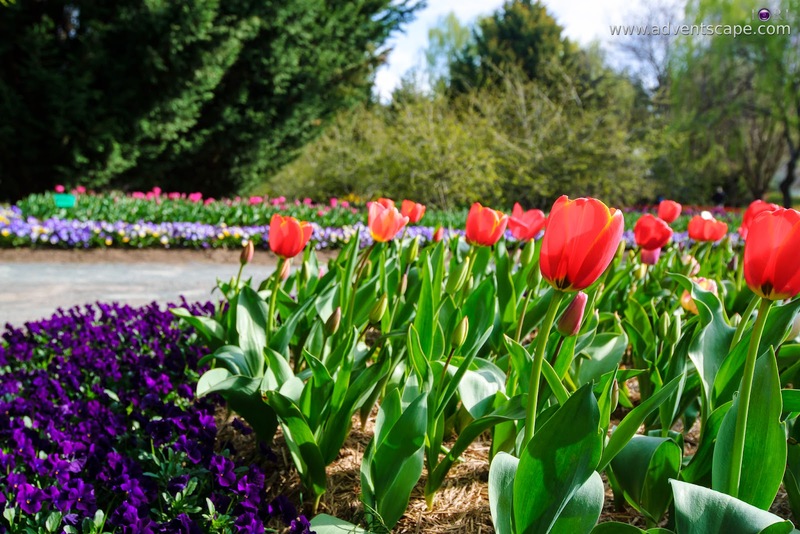 Please visit this album of Tulip Top Gardens.